In video #1 it can not very clearly be seen where the impacts hit. It seems to me that it's rather more to the left in the view than in the middle. Where the views cross (red lines) there, the impacts must have been. It is partly houses and partly fields and forest. 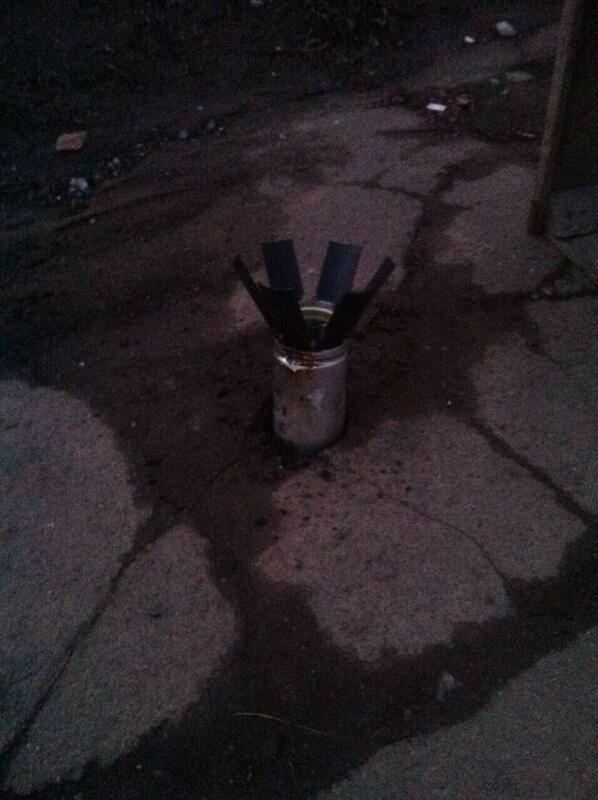 Clearly cluster munition has been used. Clearly it a residential area has been hit. Clearly it has been shot by Terrorussians. In this article @Olesolvang reports about the attack. Even though it is OBVIOUS that the attacks of Kramatorsk and Artemivsk are executed by the Russian side, their is NO specific condemnation of the Russians. 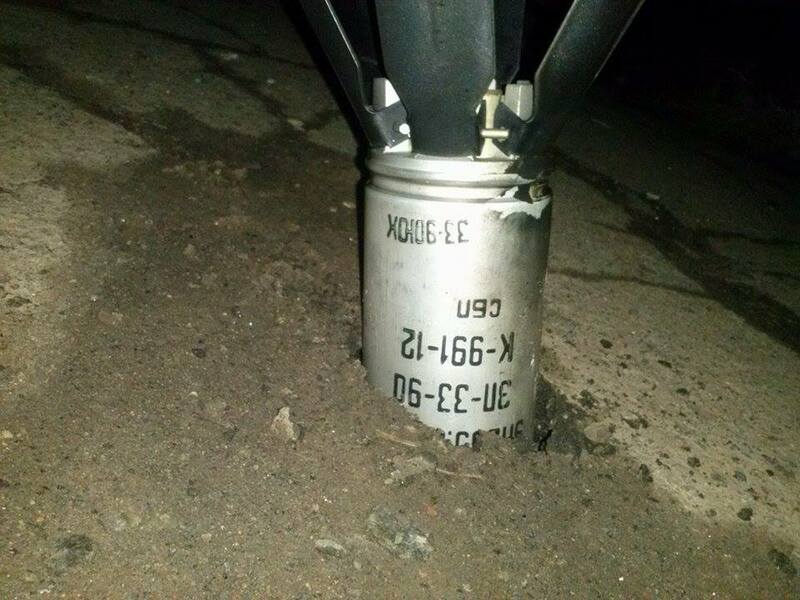 They documented Ukrainian use of cluster munition in Donetsk. Well they did NOT. They ASSUMED it, but did not prove it AT ALL. He documented the use "in both areas". Thus avoiding putting blame to any side. Also he INCORRECTLY uses the term 'rebels'. See for instance this blog. But... not putting blame to anyone here! It is an improvement that Ole calls them 'Russian-backed rebels' now. But this is still incorrect, because it does not acknowledge that Russia is destabilising Ukraine in an attempt to keep it away from the EU and in an attempt to grab land to create a land-corridor to Crimea, which it annexed earlier on. He is not putting blame here either. Ole AVOIDS putting blame, but STARTS with putting blame to Ukraine (since he had documented the Donetsk attack) and he ASSUMES/SUGGESTS that when an area is controlled by one side it is being bombed by the other side. Netto result: he DOES NOT directly blame Russia, but he DOES blame Ukraine again (for an unproven thing). Well thank you very much Ole and HRW. You managed to do it again. 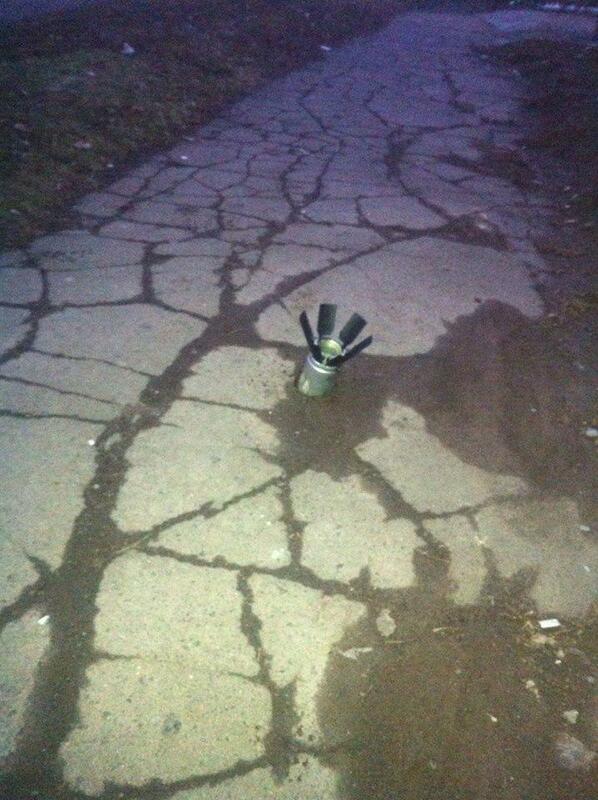 Even though it is SO OBVIOUS AS CAN BE that Russia bombed Ukrainian cities with cluster bombs, you managed to blame the victim again over the aggressor. And one thing you just guys just completely FAIL to understand: Russia is bombing Ukrainian cities to destroy them! IT DOES NOT MATTER whether these cities are Ukrainian controlled or Russia occupied. Do you understand that? They don't care... 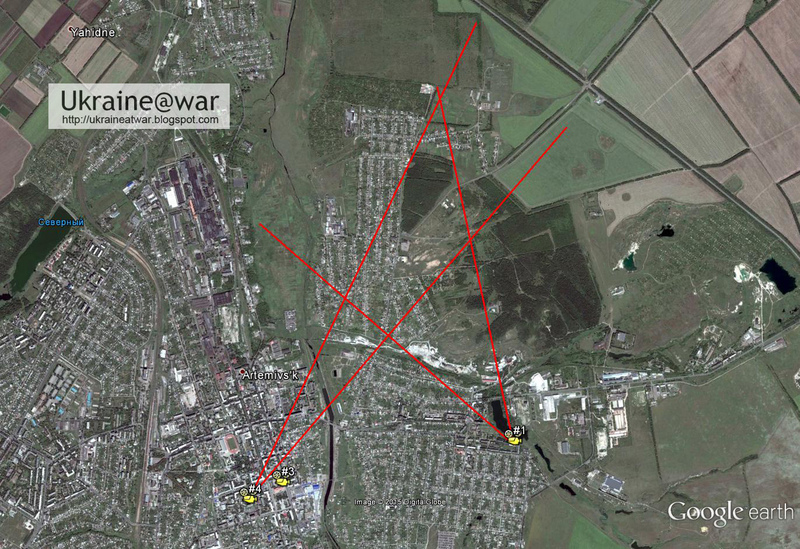 In ALL cases these are Ukrainian cities and they bomb them. But more important: Russia HAS TO BOMB Ukrainian cities and villages THEY CONTROL THEMSELVES, otherwise they can not film bloody victims for Russian TV and blame Ukraine for it! Because they can not film the victims they make in Ukrainian controlled areas. Do you understand this too? So Ole... open your eyes for what is REALLY going on here, or just go home. Otherwise you are part of the problem instead of the solution. Also see: how Kenneth Roth is tweeting Russian Propaganda about Ukraine, but NOT correcting it when he finds out.